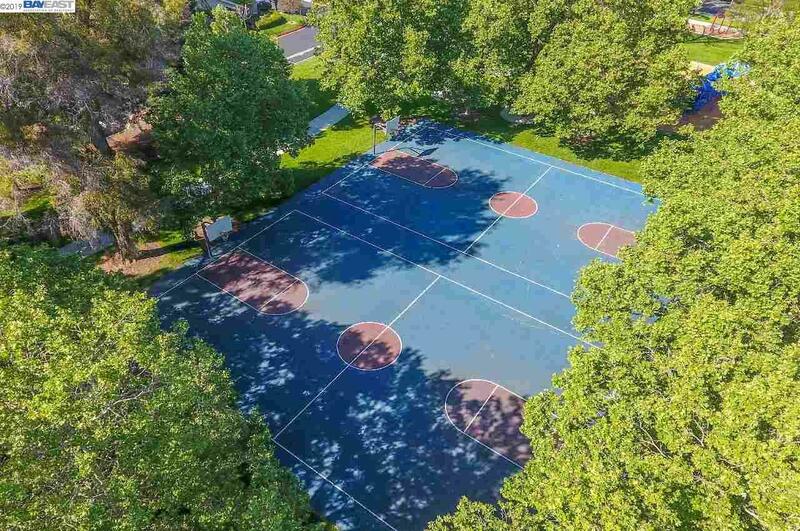 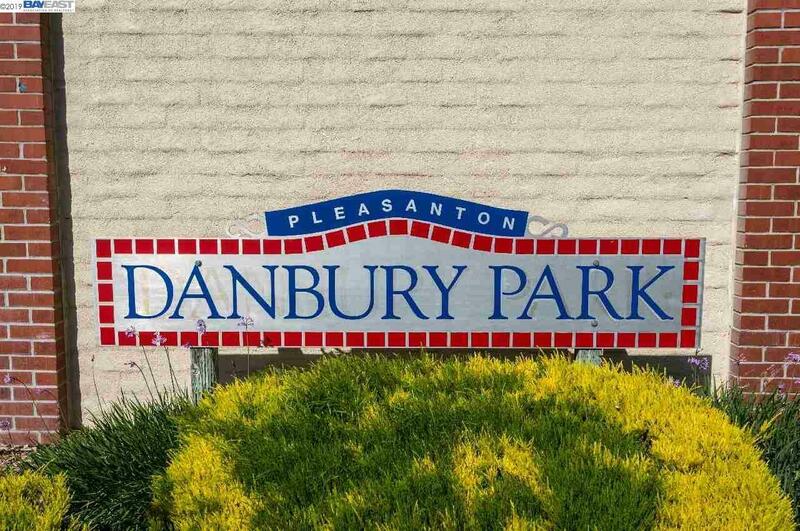 Desirable Danbury Park Beauty! 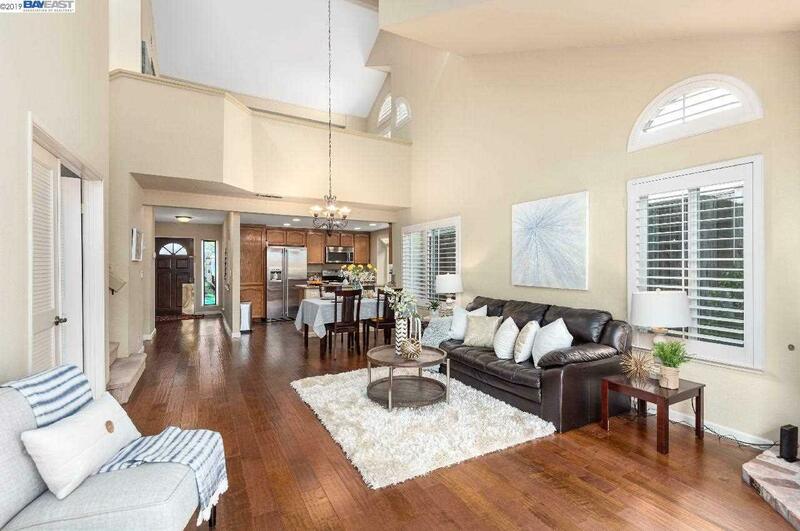 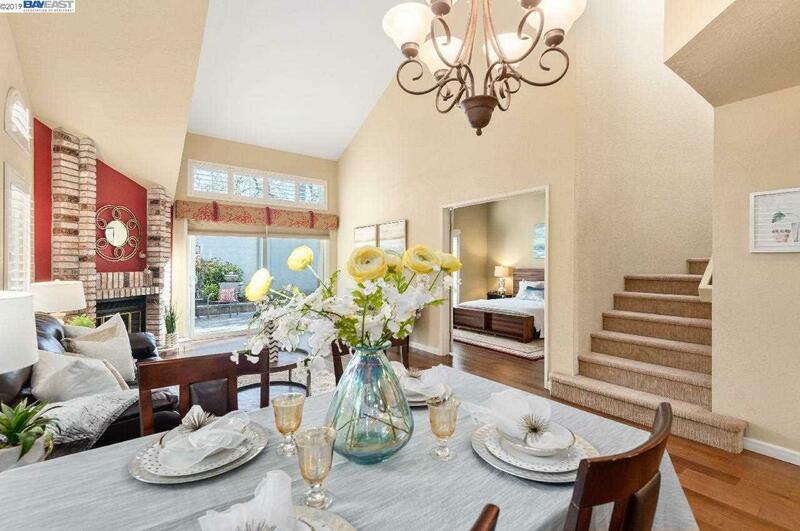 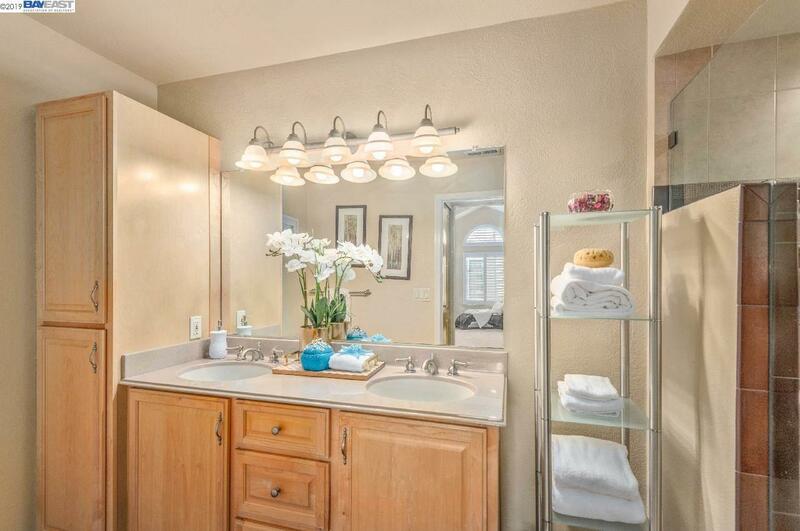 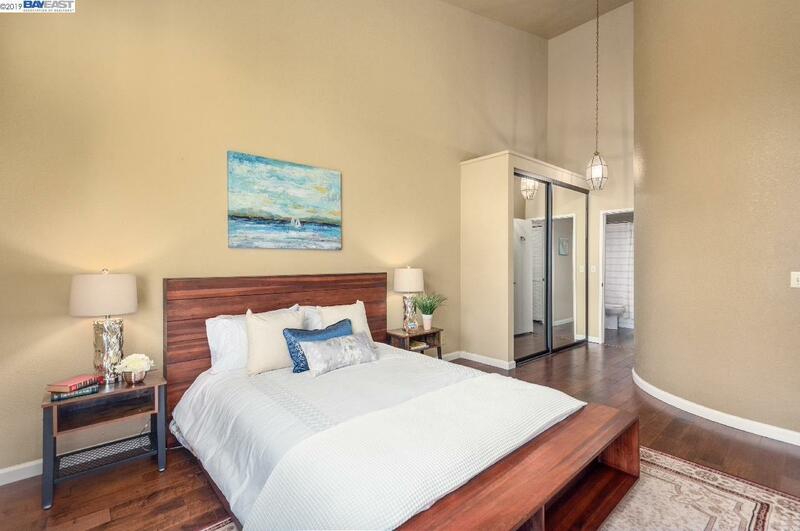 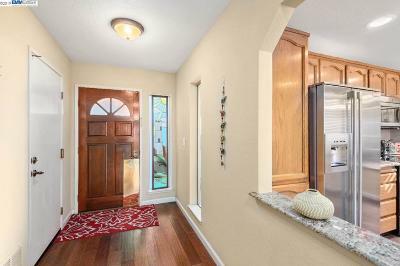 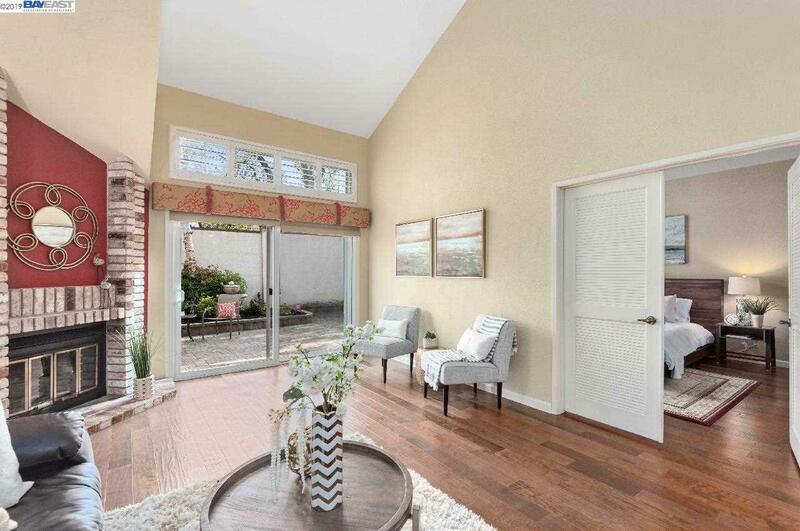 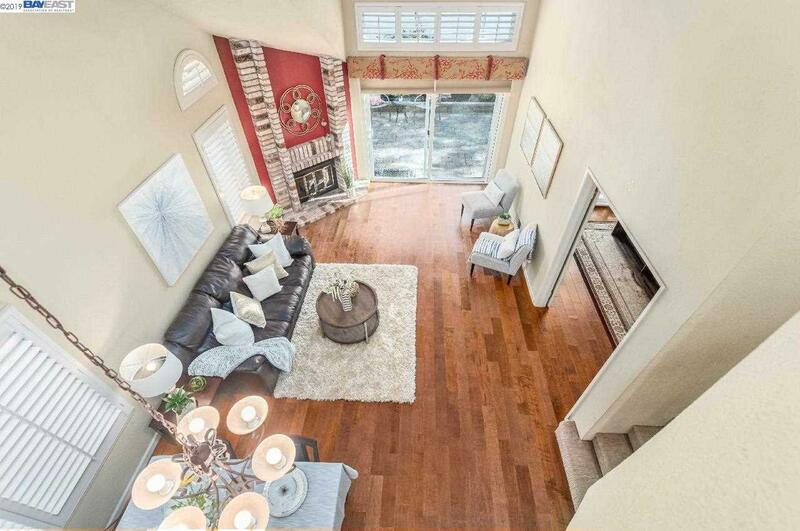 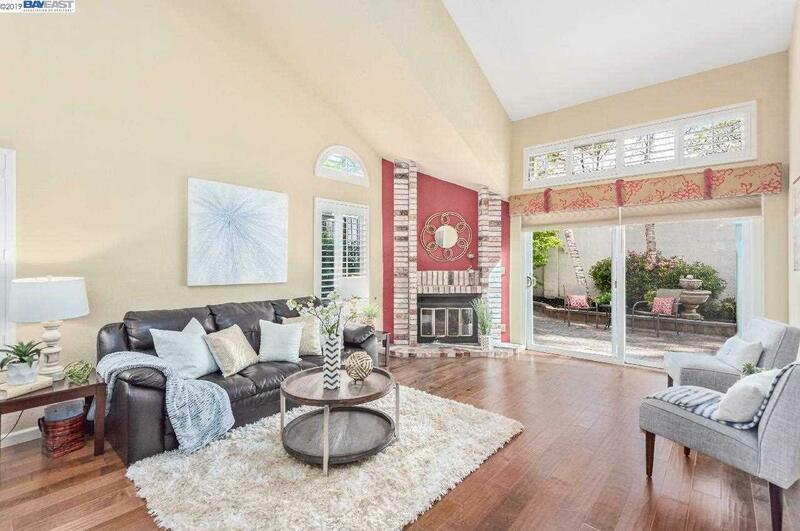 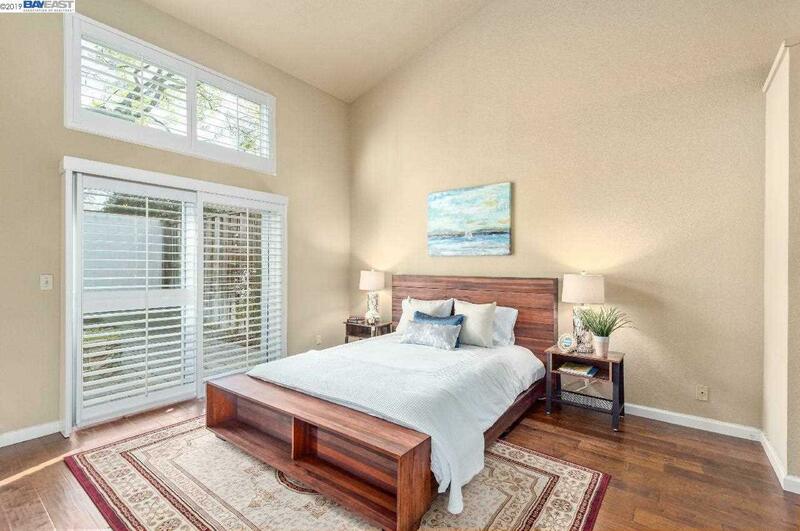 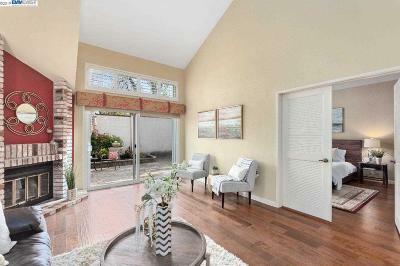 Tastefully remodeled duet offers an open floor plan with stunning cathedral ceilings. 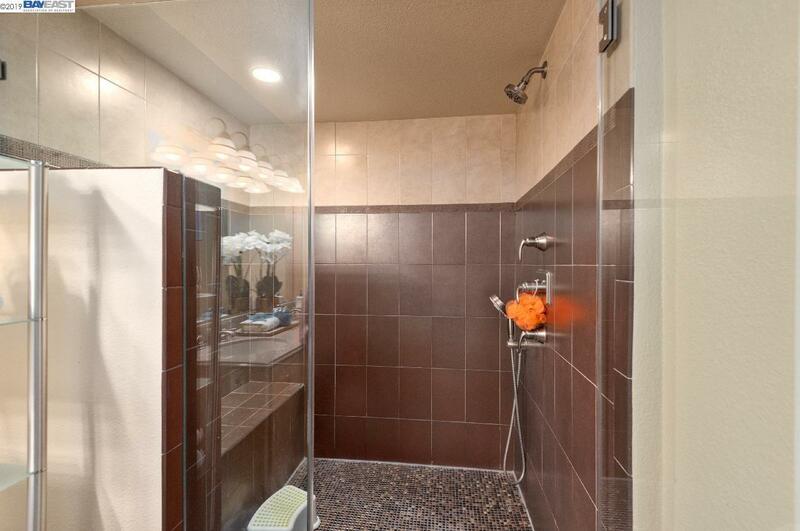 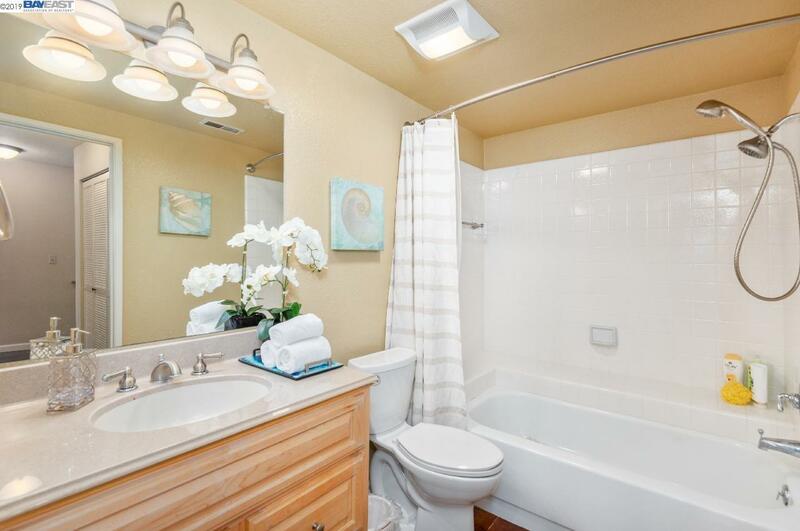 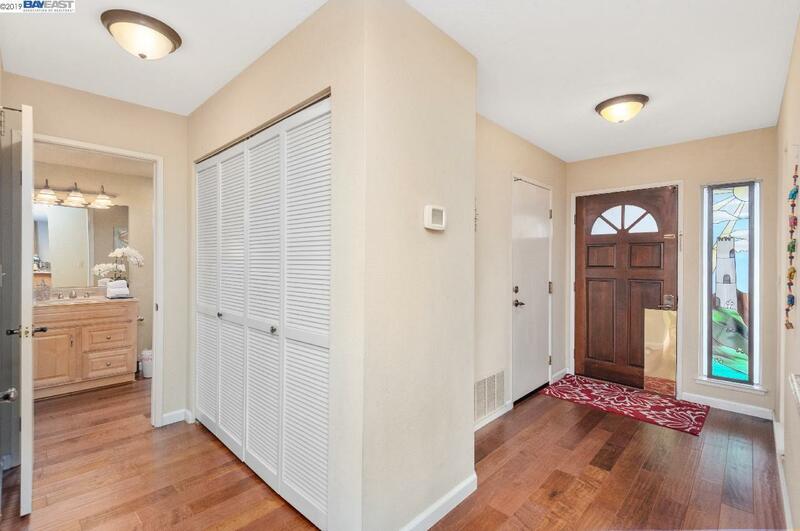 Hardwood floors throughout downstairs, designer tile flooring in the bathrooms and upgraded carpet. 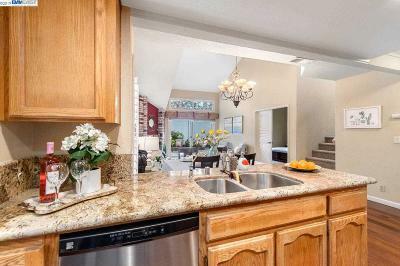 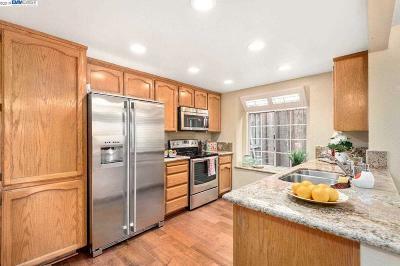 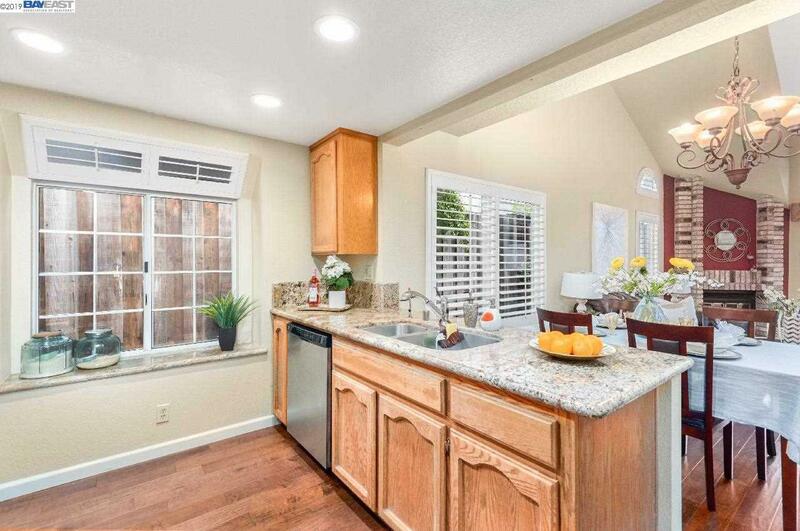 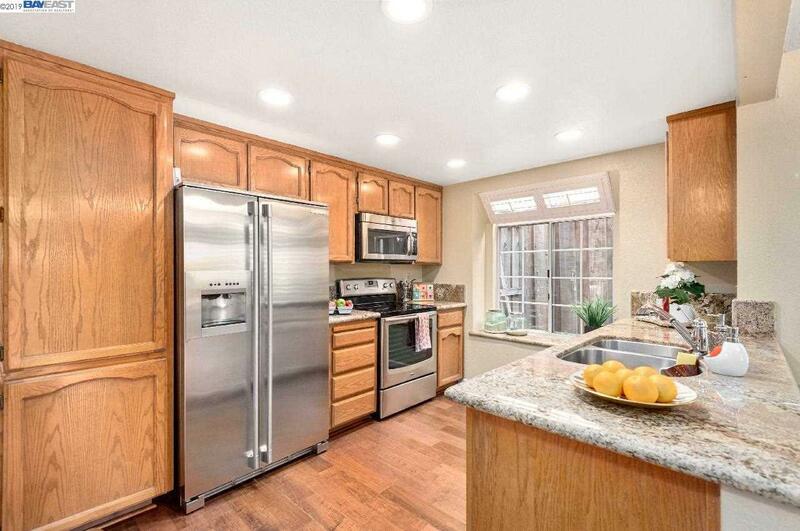 Kitchen features stainless steel appliances & granite counters with ample space. 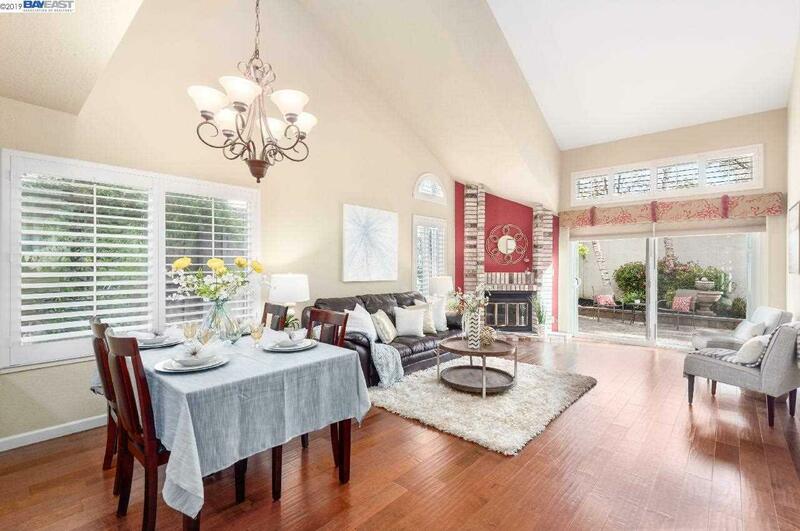 Entertain & relax in the beautifully landscaped yard with cobbled patio. 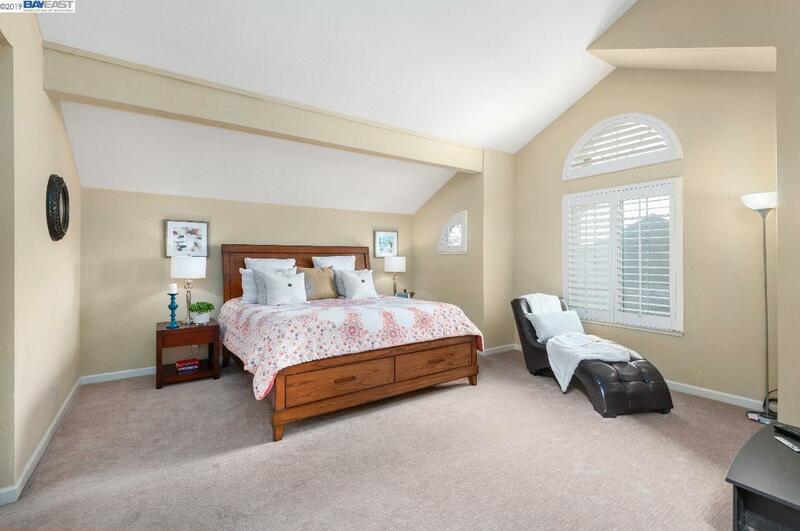 The downstairs bedroom opens onto the patio. 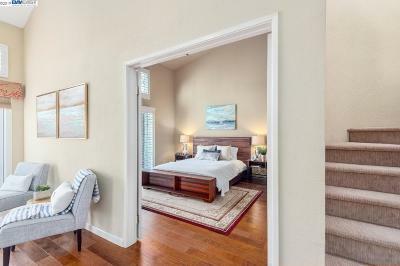 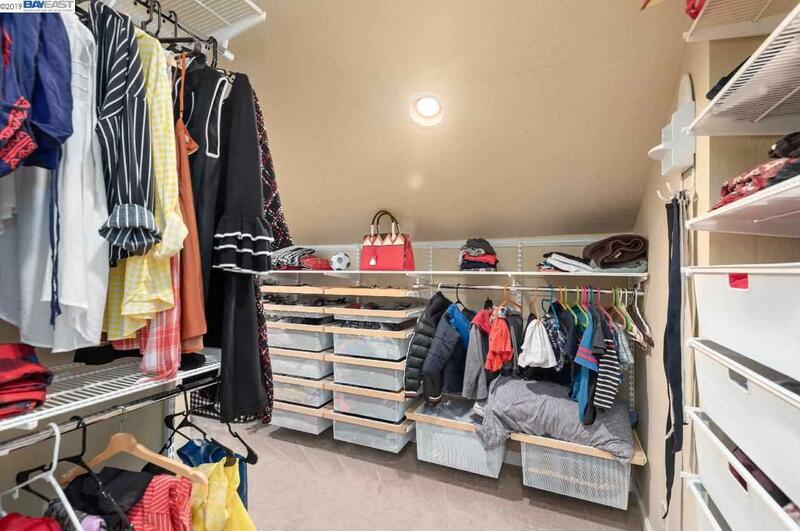 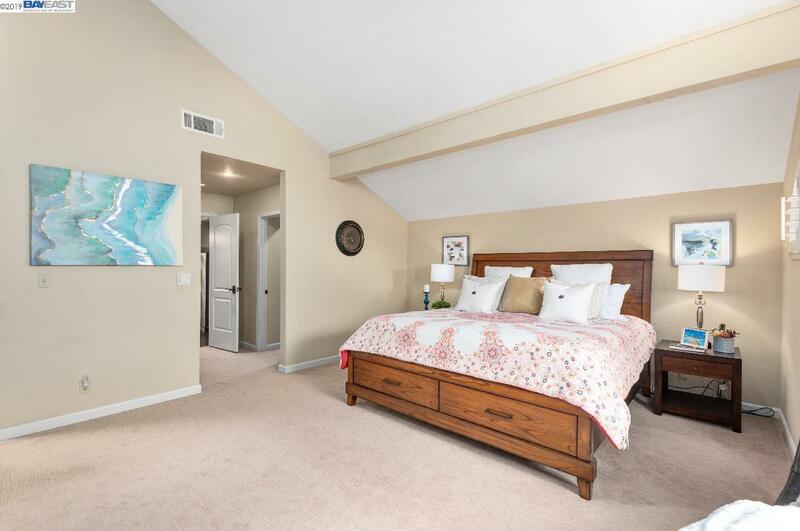 The master bedroom suite upstairs has a huge walk-in closet with built-in storage, custom master shower & office area. 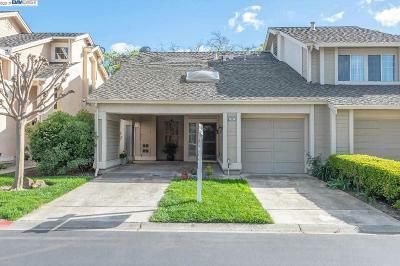 Low HOA dues. 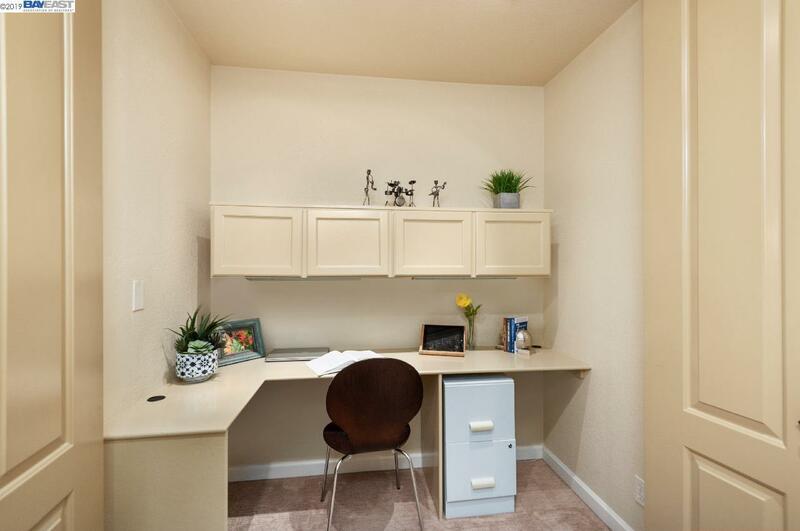 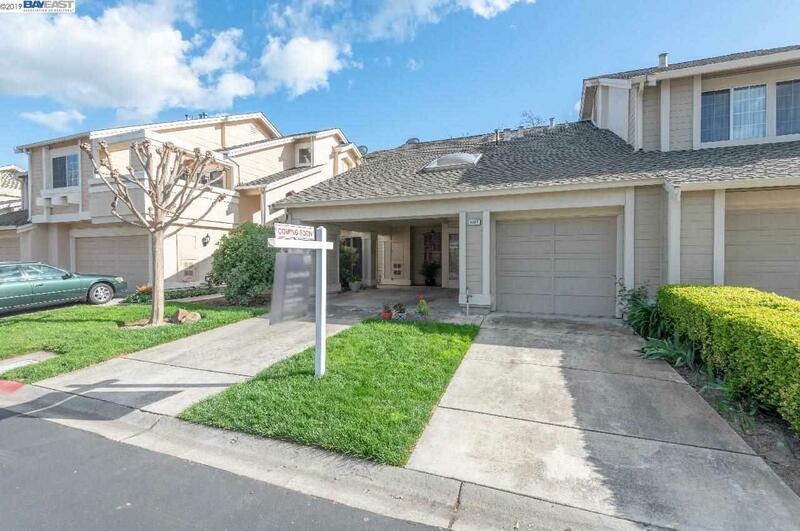 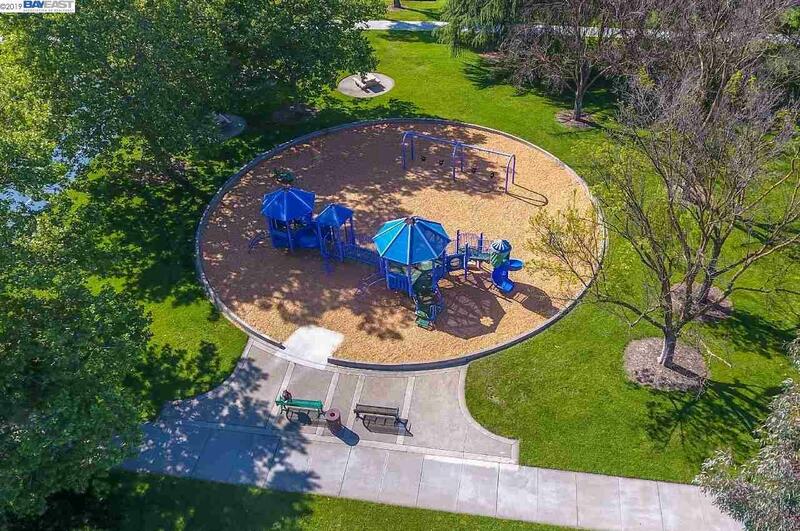 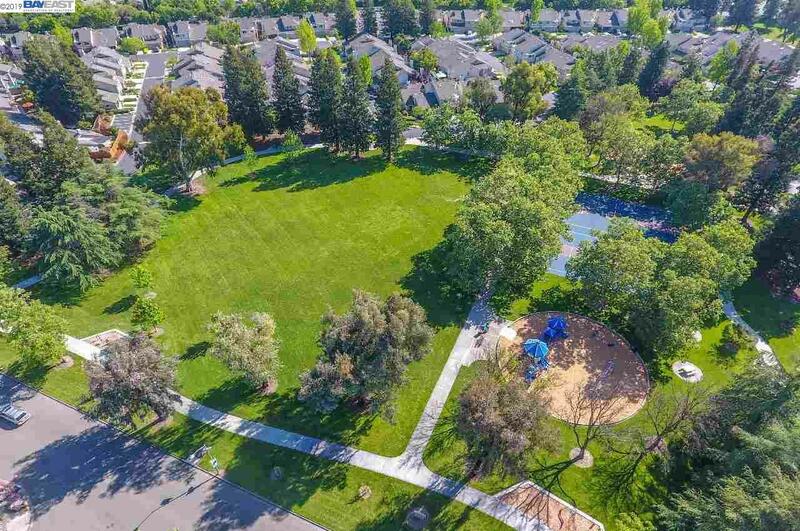 Close to parks, award winning schools, major employers like Workday, Kaiser and Oracle, BART, freeways, and few minutes from quaint Pleasanton downtown.